This evening was another spent pressure washing and staining the fence. 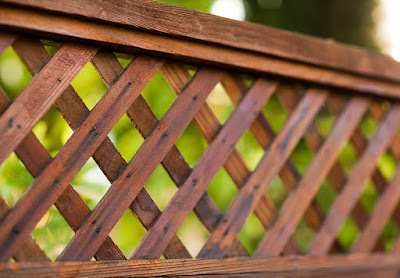 This is a shot of fence in its 'original' color after washing and staining. Sadly not even a beefy pressure washer can remove all the stains and weathering accumulated over 30 years. Technical Specs: Canon 5D, 85 f/1.2L, ISO 200, 1/100s, f/2. I finally escaped a fence-painting event! Yay! Is that a Ferrari in your driveway... ?